Lakeview School has taken embracing cultural diversity to a whole new level this year with the inclusion of a new uniform item. The 2019 school year will see its male students given the option to wear a lavalava — a traditional clothing item worn by Pacific Island males. 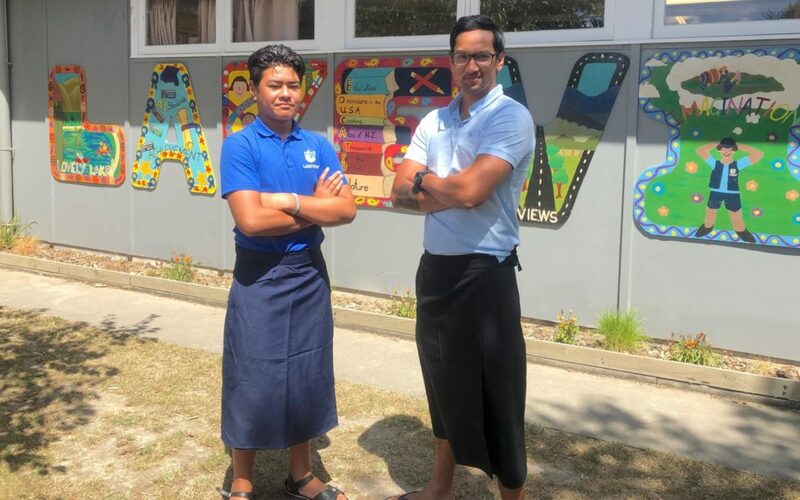 The idea came from Deputy Principal Polu Luatua, who said introducing the lavalava into the school uniform was just one of many things he wanted to implement when he took up the deputy role. “Heaps of Pacific nations wear them and here at Lakeview, we have a growing Pasifika community,” he said. He said he had previously seen other schools incorporating them into their uniform, and thought it made sense for Lakeview to do the same. He said as a Samoan growing up in West Auckland, he would have loved to have had the same option, as the schools he attended had a predominantly Polynesian roll. The lavalavas will be an item made available to all boys at the school and Luatua had already heard some of the Pakeha pupils saying they wanted one. The rest of the staff have also jumped onboard, with all the male teachers at the school vowing to order one. Luatua said it has already helped encourage culture among the pupils and had been an eye-opener for some of them who had never seen a lavalava before. “I often wear one to school and at first the kids were looking at me funny. The school posted a photo of Year 8 pupil Augustine Mila wearing one on social media, which Luatua said had already gained a positive reaction. Makoura College is another school which has included a lavalava in its new uniform this year. Principal Paul Green said it was a great opportunity for them to offer cultural expression within the school uniform. “A number of students have bought it and are wearing it regularly,” he said.